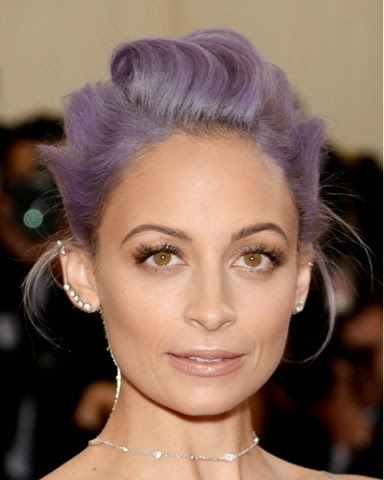 I've got a thing about my hair at the moment....If i'm not thinking about cutting it into a short crop, i'm thinking about colouring it - and I love this pastel lilac shade seen on Nicole Ritchie! (above and below). Purple hair has always been seen as a bit of a grungey/rock-chick look, especially in it's darker hue, but there has recently been a new wave of people getting a more softer pastel version which in my opinion looks very modern and chic. It's a look that is definitely not for the shy at heart and perhaps a shade that will not suit everybody. The good thing about it is that you don't have to go to the salon to achieve the look (which could involve lots of not-so-kind bleaching and stripping of the hair to get the desired colour) as you can get the colour from a spray or even, specially designed for hair, chalk/crayons. 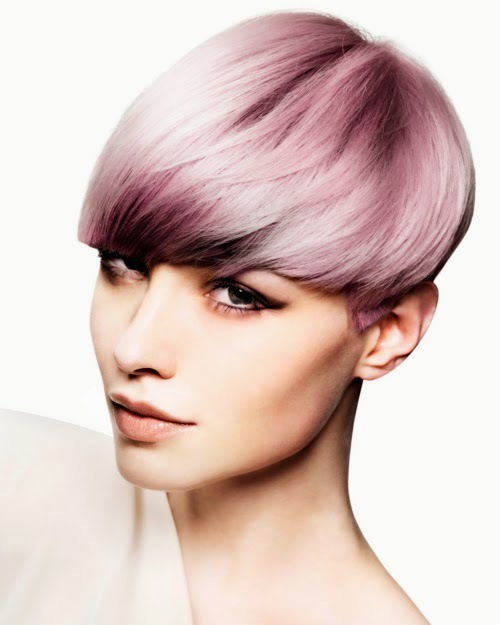 There are lots of these pastel hair dye products on the market at the moment. The shade you go for will be dependent on your skin tone. 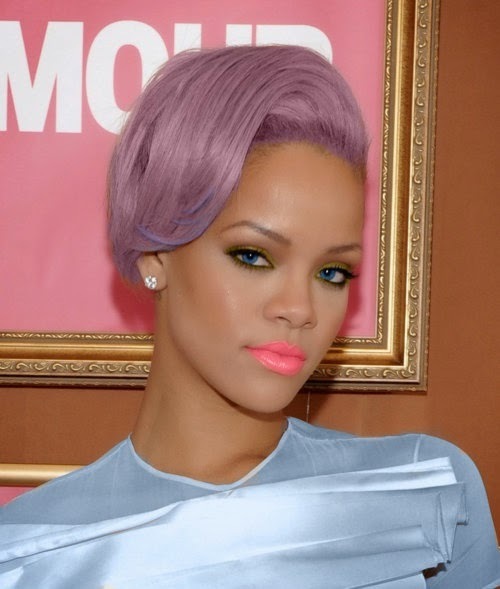 The paler you are, the lighter the hue of purple you can go and for darker skin tones, slightly more warmer lilacs will be more flattering as per Rihanna (below). 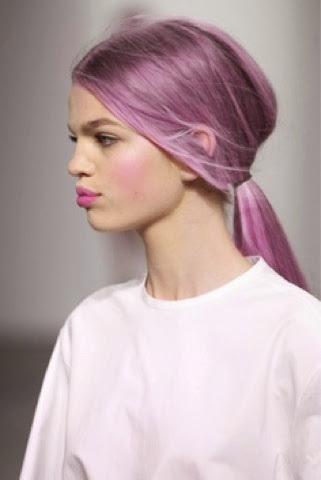 To keep the look modern and stylish (and from looking like your grandmothers 'purple rinse'!) the styling of the hair is important too. Up-dos, long flowing waves, or short, sharp bob's all look fabulous in this shade...and pairing it with a pastel coloured outfit too looks très chic! What do you think...yay or nay? I love it!....I wonder what my next hair obsession will be! !